Reply to the An Elephant in my Kitchen Competition post that is posted on the Expresso Facebook page (www.facebook.com/expressoshow.sabc3) during the Competition Period and comment on the post by describing which animal of the Big 5 is your favourite and why. The Competition will open on Thursday, 30 August 2018 at 06:00 and close on Thursday, 30 August 2018 at 23:59. (Competition Period). 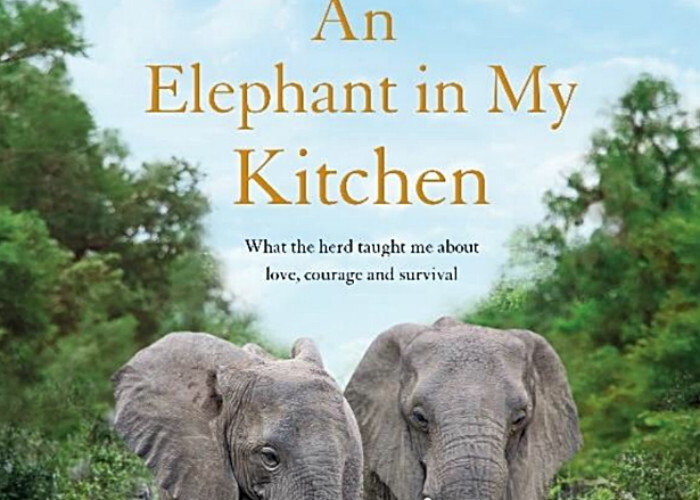 The Expresso An Elephant in my Kitchen Competition (Competition) will be run by Cardova Trading (Pty) Ltd in association with Pan MacMillan South Africa (Organisers/we/us/our). A panel of judges, who are appointed by us, will select 2 (two) people (Winners) from all valid entries each as a winner of the Prize within 3 (three) days from the closing date of the Competition, subject to clauses 5.2 and 7.2. The Winners will be the entrants who are determined in the sole and unfettered discretion of the judges as the entrants who submitted the most entertaining entries. We will notify each the Winner by commenting on the Winner’s entry post within 24 (twenty-four) hours from determination of the Winner to request a copyies of the Winner’s identification document in order to validate his/her entry and to request further contact details. Each Winner will be required to provide an electronic copy of his/her identification document within 3 (three) days from being requested by us, failing which the Winner will forfeit the Prize and have no claim against us. The Winners may also be announced live on Expresso once the Winners are confirmed. The Prize, or any part thereof, may not be exchanged for cash or any other item. Prizes are not transferable. We reserve the right to substitute the Prize, or part thereof, with any other prize of a similar commercial value.